Subscribe for delivery every 30 days. Cancel anytime! Subscriptions are automatically delivered to you every 30 days. 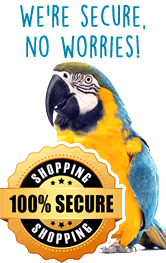 Your credit card is securely kept on file and charged only when your order is ready to ship. There are no obligations, contracts, or penalties for canceling. No worries, we are not a phone company! I'm a long time coffee connoseuer and I find myself loving the mornings because I can look forward to this coffee. It's simply the best coffee I've got on hand lately ! As kind of a coffee snob, I wan't sure about this as it's a medium roast and I usually like dark. What a pleasant surprise! The flavor is amazing! If you appreciate good coffee, then this is the bean for you.